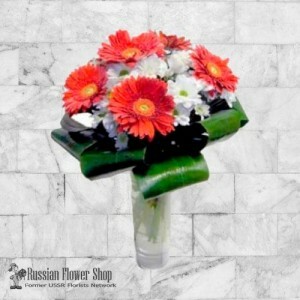 Bouquet of red gerberas and white chrysanthemum. (Vase not included)When you order bouquets, the.. 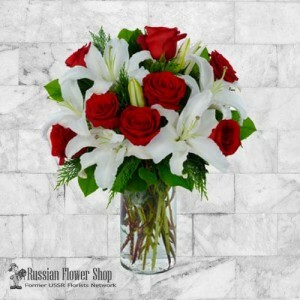 Bouquet of white lilies and red roses. (Vase not included)When you order bouquets, they will be .. 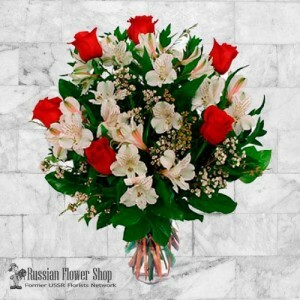 Bouquet of white, and red flowers.Inspire someone you care about today with this pretty arrange.. 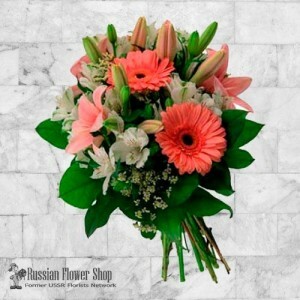 Bouquet include fragrant lilies, gerbera daisies and alstroemerias.Pretty bouquet in white a.. 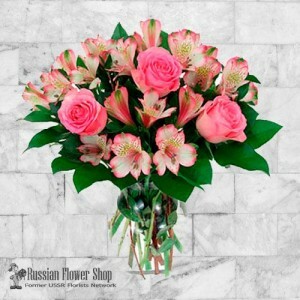 Bouquet of pink roses paired with pink alstroemerias.Distinctly feminine fresh flower arrangme.. 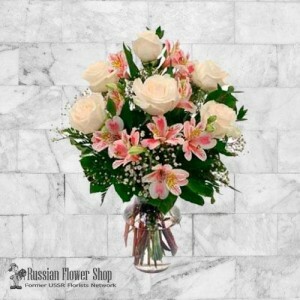 Bouquet of white roses with pink alstroemeria.Celebrate the birth of a newborn baby with this .. 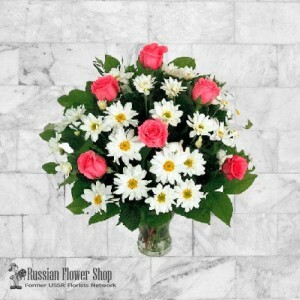 Pink Roses with White Daisies. 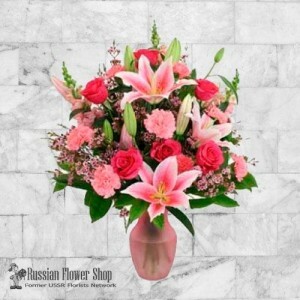 (Vase not included)When you order bouquets, they will be produced as c.. 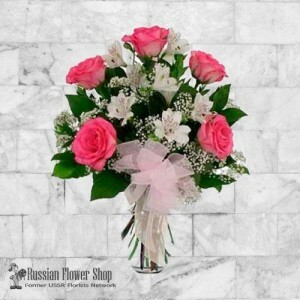 Pink Roses with White Alstroemerias.Show her your feelings with this delicate arrangement of pink ro.. 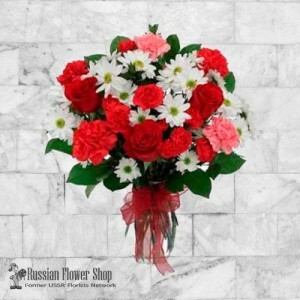 Bouquet with daisies, carnations, and roses.Give this lively floral arrangement for any occasion. 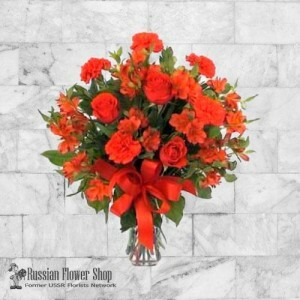 Sp..
All-red flowers Bouquet with roses, alstroemerias and carnations.All-red flowers blossom in this exc..
All-pink flowers Bouquet with lilies, red roses and pink carnations.Say "Happy Birthday" like never .. 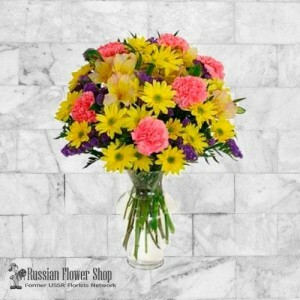 Bouquet with pink carnations, yellow daisies and alstroemerias.Anytime is a perfect time to celebr..